Career Day! | To Be, To Be. Tutubi. Today is my daughter's career day at school and look at what she wore! 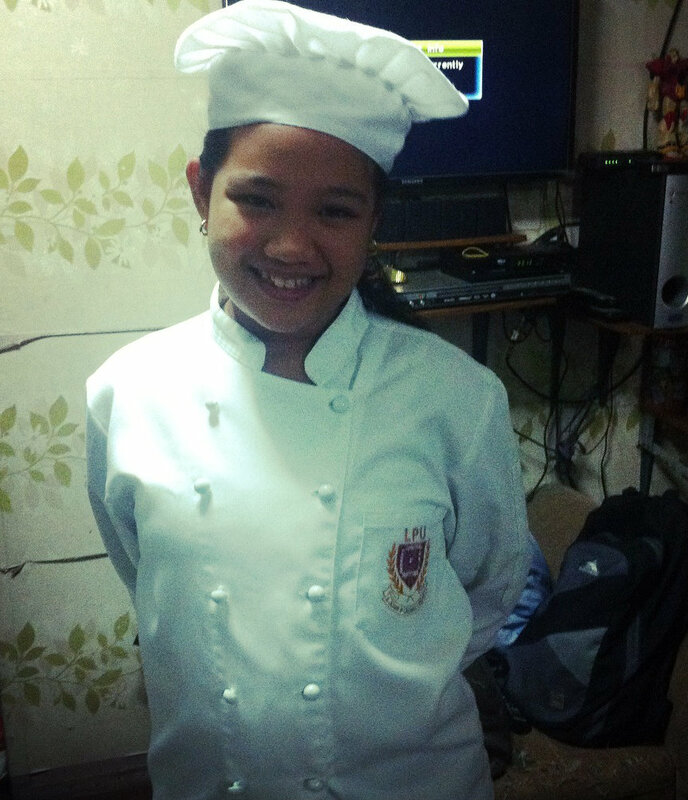 Yes, she hopes to become a chef one day. Good thing, her cousin is studying to be one so a costume was readily available. My daughter is 12 and she enjoys cooking. She prepares sandwiches for us every Saturday as her way of honing her skills. She also knows how to cook Sinigang (with adult supervision, of course) and she knows how to cook rice as well. I just hope that she really ends up with the career that she will be passionate about. And us parents, we will always try to help her achieve this dream!